Hourglass wines are a familiar sight on these pages. The 2014/15 wines received for sampling are the fourth vintage I've had the opportunity to taste. These years trend from austerity in 2011, to muscled restraint in 2012, towards balanced richness in 2013, and finally approachable powerhouses in this lineup of 2014s. Were you to graph the collectively trajectory of these wines (reds in particular), with vintage on the horizontal; and richness, intensity, and bodacity (is that a word?) on the vertical, the line might outline what Wayne and Garth referred to as a "Shwing!" There's no parsing what the principal reason (climate, winemaking, other) is behind this, but there's no way it's accidental. And good for them for deliberately steering the style back to eleven. Sommeliers and wine nerds, set aside your puritanical tendencies for a minute. 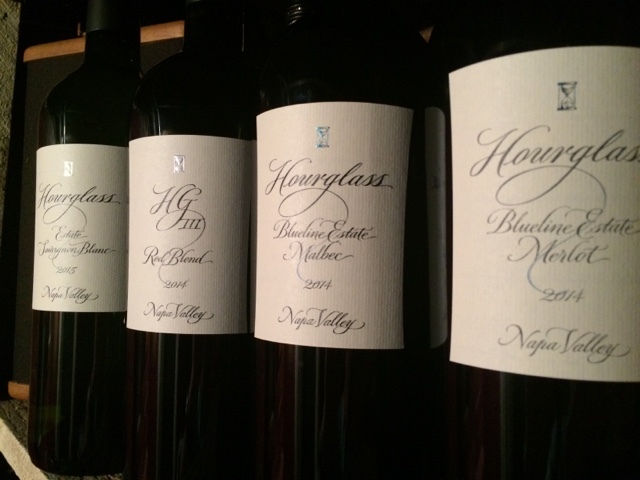 These wines epitomize what put Napa on the map: balls. And if your delicate sensibilities are offended, well, maybe you need to put your big kid pants on. The nose has that throwback, fresh-cut-grass style that Northern California Sauvignon blancs used to be known for, with an added dash of stony minerality. The mouth is soft and round, and about as friendly as you could ask for. Acids are delicate, though present, and whatever alcohol is here is hidden well by easy-tempered, classic flavors. Inky and viscous in the glass, the aromatics practically leap at you from considerable distance. The attack introduces rich, black fruit and a (massive) broad-shouldered structure of equal parts tannic grip and toasted oak backbone (which it needs to balance the heady 15.2% octane.) Very friendly upfront and right along the firm, long finish. 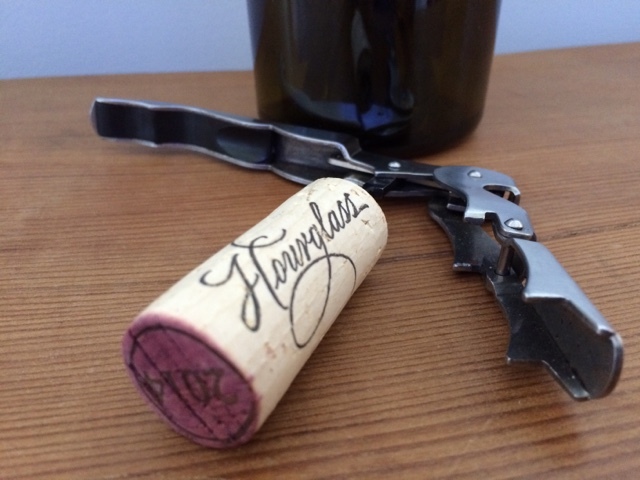 Inviting and approachable from the cork's pull, it improves ever more with time decanted. A Merlot many Cabernets aspire to be. The nose on this soars with high reaching, heady frequencies...a harbinger of what's to come for the palate. Bathwater-like texture spreads the blue-green fruit evenly over the tongue and before you know it, every nook and cranny in your mouth is coated with powder-fine tannins, the echoes of which whisper suggestively for a good ten minutes. As for the fruit, it is medium bodied, but at full-throttle intensity and extraction. An enjoyable malbec that rings true to the variety and which will require substantial fare to be tamed. Prominent cedar dust aromatics lead into a warm, full palate. Again, as with the other reds in this lineup, this is one very approachable wine for being so young. Affable and versatile, this will work as easily wearing a tuxedo as with jeans. Very pleasant, if a little simple in the company of these other power houses.